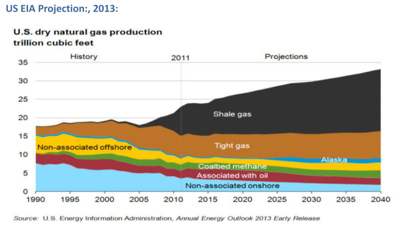 Shale Gas Development: Risk or Reward? The discovery of natural gas in shale reserves has transformed the global energy sector into a booming business. While the United States is a current leader in shale exploration, many other regions are beginning to develop their own natural gas due to the huge economic potential, including a localized source of energy and job growth. This energy transformation has sparked much debate regarding the safety of the drilling, extraction and production of natural gas and oil. A recent Engineering News-Record webinar looked at the opportunities and risks surrounding oil and gas production from shale. Mitchell Small, H. John Heinz Professor, Civil and Environmental Engineering & Engineering at Carnegie Mellon University and webinar panelist, projected that in the next 20-30 years, increased development of natural gas from shale will make a major impact on total energy equation for the United States, with other natural gas projected to slightly decline and then level off. Operational: The operational risk includes accidents and mishaps occurred, as well as how these occurrences are detected and responded to. While there is risk surrounding emissions and induced seismicity, it has only been an issue when injecting recovered race water into deep formations. There are not yet been induced seismicity from hydraulic fracking, but it’s still a concern. Water: Risk spans the lifecycle of water use, from where the water is collected to the amount drawn down from steams or groundwater used to supply the specific need for hydraulic fracturing. Further, leakages that can occur during and after the fracturing activity create flowback that is very high solidity, possibly with naturally occurring radionuclides and frac fluids. These risks can potentially be mitigated through treatment, reuse or storage, but determining the best solution is still the largest issue we face. Air Quality: Air quality risks include local air toxics, regional ozone, particulate matter and methane. During the development process, some of the admitted hydrocarbons are ozone precursors. Generator operations using combusting create nitrogen oxides, which can also contribute to regional ozone, as well as particulate matter. Perhaps the biggest issue is determining how much methane is leaked as part of the recovery process. Global Climate: The larger concerns surrounding global climate change grow from air quality impurities, due to potential admissions of carbon, carbon dioxide and methane. However, there are more subtle issues regarding short and long term sustainability and the implications of abundant and cheap natural gas, fuel substitutions, and our current infrastructure investments. In the short term, replacing coal with shale means a smaller carbon footprint, reduced greenhouse gas admissions and transforming our energy economy. The long term impacts are still unclear, but skeptics worry about stalling the growth of other forms of renewable energy, like wind and solar. Ecological: The need for well pads, roads to get to well pads and other terrain changes bring habitat and connectivity risks into the equation. Also, there is an additional risk of air and water toxicity due to leakage from toxic fracking fluids and recovered water. Human Health: Ecological risks contribute to human health issues, including the pollutant exposure from the effects of leaking fracking fluids. Over time, these concerns can lead to stress on local communities. Community/Social: Shale development causes communities to face risk governance issues, such as economic impacts, governance authority and trust. These risks can prove to be negative or positive depending on effective communication of the stakeholders’ involved, including regional governments, environmental groups and the community. To meet these challenging risks, communities are already implementing safety and responsibility procedures in their production, and industry firms are developing new technologies and solutions to ensure environmental protection. What are the other risks or rewards associated with the development of natural gas from shale reserves?